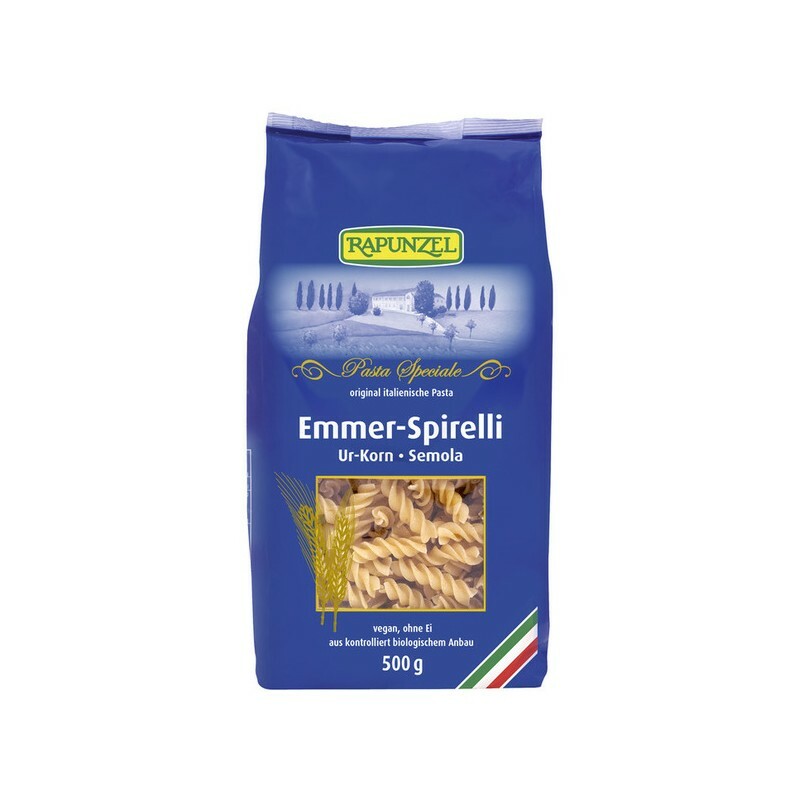 Noodle in a spiral shape - one of the most popular varieties of Italian cuisine. 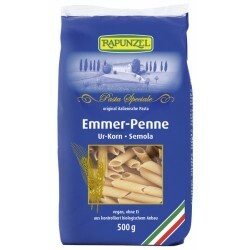 Pasta in a pure Emmer quality with fine nutty taste. 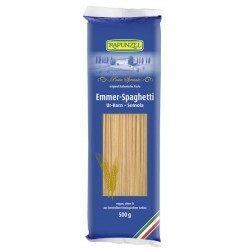 The original grain is ideal for making the best Pasta! Its firm grain of pasta is the perfect al dente bite, and a fine, lightly nutty Aroma. 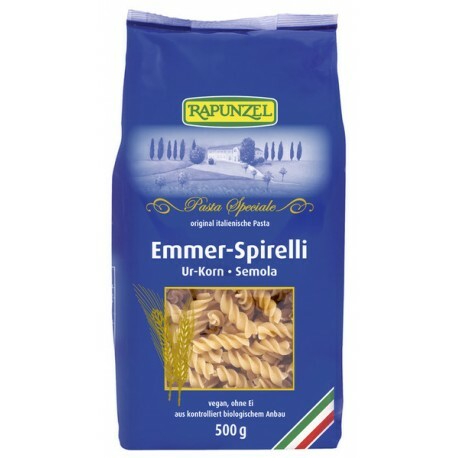 Rapunzel Pasta Speciale is meal made from ground Italian Emmer wheat and pure spring water, produced according to ancient Tradition. 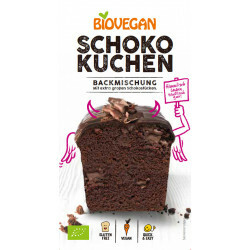 It contains 65% of the grain. After pressing and shaping by corresponding die, the slow and gentle drying for 24 hours at a maximum of 60°C. 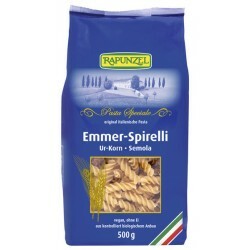 Try the other Spelt pasta varieties: Spaghetti, Penne and whole-grain Spirelli!